Mahmood al-Zarooni has been disqualified for eight years by the disciplinary panel of the British Horseracing Authority after admitting administering anabolic steroids to horses in his care. The Godolphin trainer said he had made a “catastrophic error” in using the banned drugs on a number of runners in his yard, including former Qipco 1,000 Guineas favourite Certify. Al-Zarooni was called before the BHA at a hastily arranged hearing on Thursday afternoon after 11 horses returned positive samples for ethylestranol and stanozolol following a random testing at his Newmarket yard earlier this month. Further admissions were made by Al Zarooni to the BHA this week surrounding four other horses that had not been tested. Paul Bittar, chief executive of the BHA, said in a statement: “We believe that it is recognised by all who follow our sport that the circumstances in this particular case are exceptional, not only on account of the profile of the owner in question, but also the number and calibre of the horses involved. “However, we also believe the outcome is an endorsement for the effectiveness of British Racing’s dope testing programme. On April 9 representatives of the BHA visited the yard of Mahmood Al Zarooni and took samples from 45 horses as part of our testing in training sampling programme. “As soon as the nature and number of positives became apparent, we recognised that there were a number of challenges for the sport and the BHA, initially in the very short term. The first and immediate priority was to establish the facts as to how the prohibited substances came to be present in the horses’ samples. “Secondly, in view of the potential repercussions for the sport and the profile of the races for which some of the horses held entries, it was in the public’s interest, as well as that of BHA and Godolphin, to progress the disciplinary procedures as quickly as possible. “Both of these objectives have now been met and I would like to publicly thank the staff at the BHA and the team at HFL Sport Science who have worked around the clock on the case to achieve the outcome of today’s Disciplinary Panel hearing. “This rapid resolution would also not have been possible without the full cooperation of Godolphin and Sheikh Mohammed. The relevant Rules in this case are explicit in that the use of anabolic steroids in horses in the care of a licensed trainer is prohibited and that strict liability for everything administered to horses while they are in training lies with the trainer. “The BHA’s investigation has established that the substances in question were administered on the instruction of Mahmood al-Zarooni. “The full details of this will be formally addressed in the disciplinary panel’s findings, to be published in due course and once they are available. 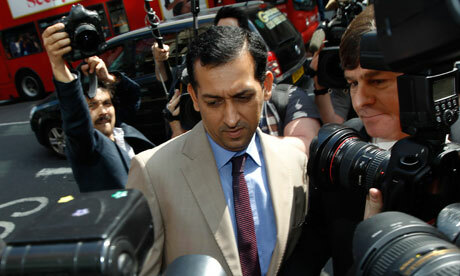 “We believe that the eight-year disqualification issued to Mahmood al-Zarooni by the disciplinary panel, together with the six month racing restriction placed on the horses in question by the BHA, will serve to reassure the public, and the sport’s participants, that use of performance-enhancing substances in British Racing will not be tolerated and that the sport has in place a robust and effective anti-doping and medication control programme. “The next objective for BHA is to take the necessary steps to ensure that overall confidence in the integrity of the sport is not at risk. We welcome the proactive response of Godolphin and Sheikh Mohammed in announcing their intention to review the procedures of this stable and the need to ensure that all horses formerly trained by Mahmood al-Zarooni are tested and cleared before they race again. “The BHA will conduct the testing of the horses with the analytical work being carried out by HFL Sport Science. Godolphin have stated they will cooperate fully with this process. In addition, we will also provide advice to Godolphin of necessary changes to its procedures and controls where appropriate, and this will be supported by Godolphin’s own review. “Naturally, the BHA will itself consider the wider issues raised by this matter and we will seek to ascertain and collate all other relevant information including where necessary interviewing other employees or contractors of Godolphin. “As we do in all cases, as part of an ongoing process we will identify further areas for consideration which could be incorporated from this into our future sampling strategy. “Finally, this case has served to highlight something that we were already aware of, in that there are inconsistencies across international racing jurisdictions regarding what substances are permitted to be used in training. While around the world, horseracing bodies quite rightly adopt a zero tolerance policy to the presence of anabolic steroids when carrying out post-race testing, the approach is not so consistent for horses in training. Godolphin owner Sheikh Mohammed has already locked down Zarooni’s stables, saying he was “appalled and angered” by events and that testing for all the inmates at Moulton Paddocks was now planned. Certify ended 2012 unbeaten in four runs, claiming the champion juvenile filly title after winning the Fillies’ Mile at Newmarket on her final start of the campaign. The suspensions will effectively rule all the 15 horses out for the entire campaign with just four and a half weeks left of the season on their return.